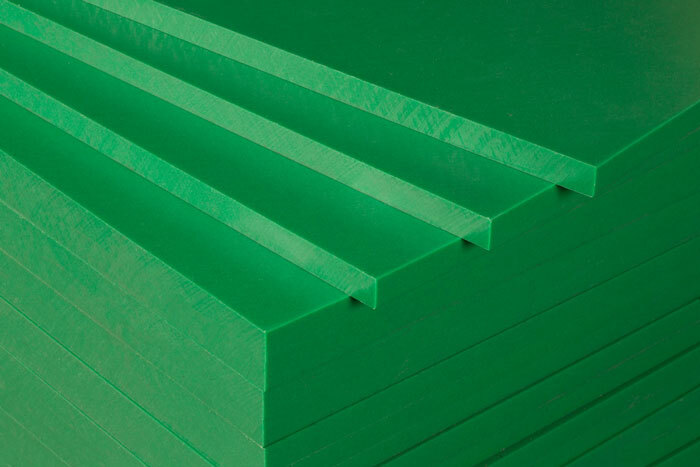 PFC has a large selection of High Density Polyethylene Sheet stock (HDPE) for multiple binding, packaging or product applications. We stock a large number of printable sheet sizes, colors, finishes and gauges. We specialize in manufacturing film and sheet to your specifications. If you need a special emboss, custom color match, gauge, width or sheet size, we can produce it and stock it at any of our multiple locations. Also known as polyethylene high density (PEHD), HDPE is a unique thermoplastic distinguished by its strength. HDPE extremely durable with multiple applications. Recent trends show a growing preference toward plastics for all packaging. The ease with which these materials can be recycled by the individual consumer not only protects the environment, but also increase their desirability. HDPE is harder & more rigid than low-density polyethylene sheet and has a higher tensile strength. It is three times better in compressive strength tests. Stronger and more opaque than standard forms of polyethylene, it can act as a barrier against moisture and remains solid at room temperature alongside displaying UV resistant attributes that block out harmful rays from the sun. Additionally, it proves environmentally friendly during its production and use by a consumer with no leaking of toxic chemicals. Its thermoplastic characteristic makes HDPE easily recyclable as it can be melted down into liquid form and it is much more commonly recycled than its other polyethylene counterpart, LDPE. Plastic Film’s high density polyethylene sheets are renowned for its high strength and rigid attributes. These characteristics make our sheets ideal for a variety of uses such as oil tanks, water pipes and a whole range of industrial applications that can make use of the material's high durability. HDPE's ability to resist chemicals and moisture lends itself perfectly for use in packaging of detergents, bleaches and other household chemicals, in addition to meeting FDA requirements for food-grade packaging such as butter tubs, milk jugs and yoghurt containers. We specialize in offering custom built sheets to your exact specifications in terms of size, color and gauge. **Custom Colors, Emboss, Gauges and Sizes are available to Quote on Request.